Before July 8, 2012, I was doing everything wrong. I was, by choice, overworked, I was overweight. I smoked, drank an incredible amount of Mountain Dew daily, and ate fast food very regularly. I was not in very good shape to say the least. My previous lifestyle came to an abrupt end on July 8, 2012 when I suffered an ischemic stroke. Fortunately, I was administered tPA treatment very quickly, which greatly limited the potential damage. Still, I had a long road of recovery ahead. I spent a week and a half in the hospital rehab wing contemplating my embarrassing lifestyle choices, vowing to completely change so that I could continue to enjoy my amazing life. I began my recovery journey with physical therapy at Milestone about a month after my stroke. I joined Milestone as a Member at this time. Because it would take me six months to even begin to run straight, I started with spinning classes for cardiovascular exercise. From there, I became an avid cyclist. I also credit yoga for rebuilding my balance and my core. Also, Jamal was a great help in my strength training development. And, eventually I began to run in a straight line and have become an avid runner. 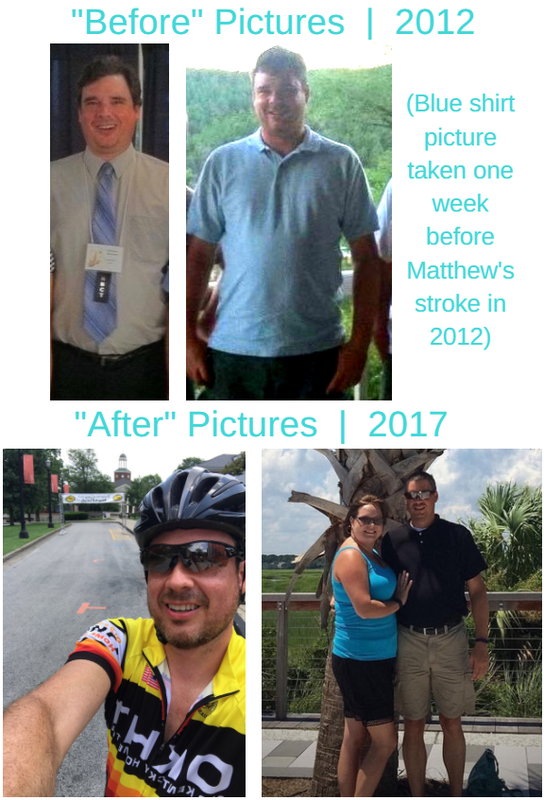 In the last 5 years of being a stroke survivor, I have completed 5 mini-marathons, several 5K’s and 10K’s, 6 different supported bike tours, and lost over 50 pounds! I am proud to say that I more than recovered from the stroke in 2012, and am now in the best shape of my life at 41 years of age. Most importantly, I am very thankful and grateful that I received a second chance!